The pop star puts her talents to new use in Cooper's brilliant directorial debut. 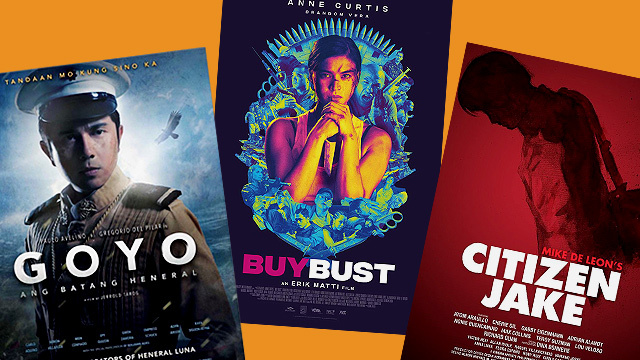 (SPOT.ph) Let’s get this out of the way—yes, Lady Gaga is incredible in A Star is Born. She’s more than a competent actress, and she’s even more magical during all the on-stage performances in this film. Truly, a star has been born here in the form of Lady Gaga the Movie Star. One of the biggest selling points for this film is watching her turn from musician to a full-on actress. She’s had parts in other things, yes, like Sin City: A Dame to Kill For and a Golden Globe-winning turn in American Horror Story, but she’s never been challenged like this, and she more than delivers the goods. That’s not to say any less of her co-star and director, the multi-talented Bradley Cooper. 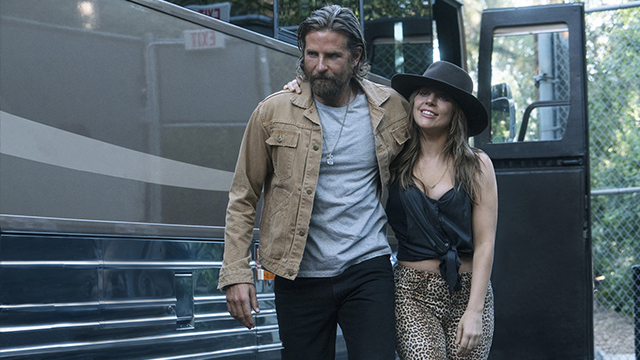 He not only shows up on screen in one of the best performances he's ever given, but a star is born behind the camera as well, as Cooper absolutely nails it in his directorial debut. 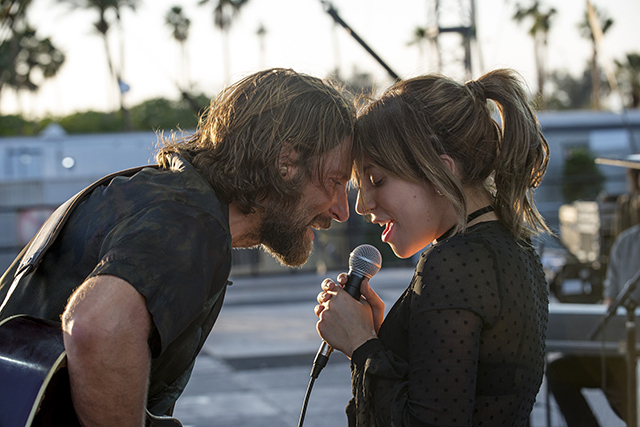 The third remake and fourth film overall about this story of lovers swept up in the showbiz grind, A Star is Born focuses on two musicians on opposite ends of the spectrum. Jackson Maine (Cooper) is a majorly popular rock star at the twilight of his career, while Ally (Gaga) is an extremely talented unknown who hasn’t even begun hers. Jackson is an alcoholic and a drug addict, using various methods just to get through his performances, while Ally is singing in drag bars and just enjoying being on stage, no matter how small. When Jackson stumbles into the bar Ally is performing at, he watches her perform Edith Piaf’s “La Vie en Rose” (and stunningly so) and is—unsurprisingly—immediately in love. Jackson and Ally begin a relationship both on stage and off. They date, while Jackson also brings Ally on stage to sing songs Ally has written. Ally’s career starts to skyrocket, as her videos go viral and managers in the business seek her out. As Ally’s star rises, Jackson’s continues to fade, causing trouble in their relationship. Even worse, Jackson continues to spiral. Ally and Jackson then try to fight through their problems as their showbiz careers change direction. Lady Gaga was born for this role. There’s no doubt about her singing talent, but the way she manages to transform that into a seriously legitimate acting role shows just how talented she really is. We get to watch Ally’s meteoric rise, which means we get to see Gaga act from tough Jersey-esque waitress to pop star on screen. 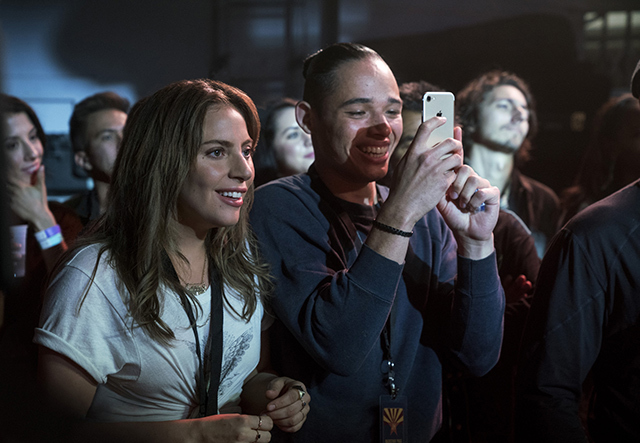 Yes, a lot of this mirrors Gaga’s own rise to fame, but this is Ally through and through, and Gaga captures this charming character perfectly. We’re introduced to Ally three times. The first one is a teaser which starts off with you just hearing her voice and then a bit of singing. The second time, she’s on stage at a drag bar, singing a massive French song belting her heart out fully made-up which makes you go, “Oh, it’s Gaga, of course!” The third, which is where the fantastic magic trick lies, is when she exits the dressing room, make up off, in a basic hair color Gaga herself hasn’t sported in years, looking as un-Gaga-esque as possible, and then you go, “That’s Ally.” Everything about this film works perfectly to Gaga’s advantage, and she becomes breathtaking. Cooper is also showing off career-best acting as the aging, troubled rock star. He’s sometimes slurring, sometimes mumbling, but throughout delivering this Jeff Bridges-esque performance that is just above anything Cooper’s ever done. He and Gaga have electric chemistry together both on-stage singing and in their romantic scenes. It’s exciting and believable and beautiful and tragic and heartbreaking the way their two characters come together, and that’s a testament to Cooper and Gaga’s performances. Another star here is the direction of Cooper in his first feature. 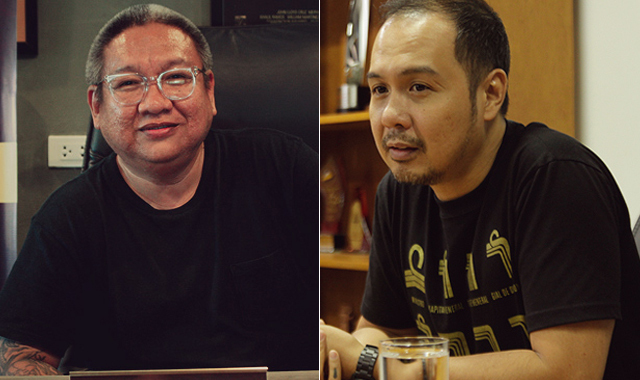 He’s not only completely adept at directing, but he’s also got a thrilling vision that shows off his talents. He was able to direct Gaga to a star-making performance and his directorial choices in most things—from the camerawork to the songs to the overall feel of the film—was near-perfect. A lot of kudos should be given to his cinematographer, Matthew Libatique. Libatique, a Filipino-American, is Darren Aronofsky’s go-to cinematographer, and if anything of his résumé reminds you of this film, it's most likely Black Swan. The concert and performance scenes, much like in Black Swan, are just electric and full of energy. Cooper and Libatique capture that feeling of a performer singing in front of a live audience and the power and chills that come with it. It's perfectly captured with dynamic camera movements that weave in and out of the actors on stage, from full close-ups to shots that show off the crowd from the POV of the performers. (They shot some of the scenes at major concert stages like Coachella, Glastonbury, and at Lady Gaga’s own concert so this was an easy win for them). Gaga is always bathed in color, and the camera rarely ever leaves her face—her face being a major part of the story, in the sense that she was never a star beforehand because record executives said her nose “was too big” and she didn’t look the part. It makes the framing and lighting of Gaga all the more genius. Of course, this film wouldn’t work without a gorgeous score and set of songs. 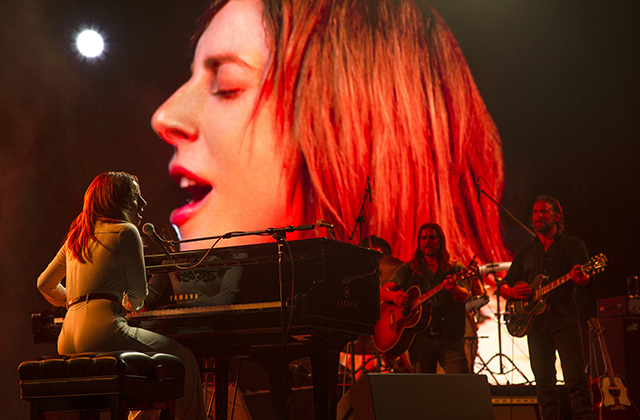 "Shallow," the film’s first big anthem, is a fantastic song, and it’s filmed even better in one of the best scenes of 2018, as Ally performs it for the first time in front of an audience. Gaga insisted she and Cooper sing all songs live, and it was a smart move, making everything feel more organic here. The rest of the songs are also very good bops (except maybe Ally’s pop songs, which are, sort of deliberately, not great), and this soundtrack is almost better than the film itself. In the film, Cooper’s brother, played by the always excellent Sam Elliott (who gives a fantastic performance here with so little), notes that "music is essentially 12 notes in any octave." The octaves just repeat, and it’s “the same story told over and over." He continues, "All any artist can offer the world is how they see those 12 notes." Maybe it’s too on the nose, but it’s a perfect metaphor for this film. 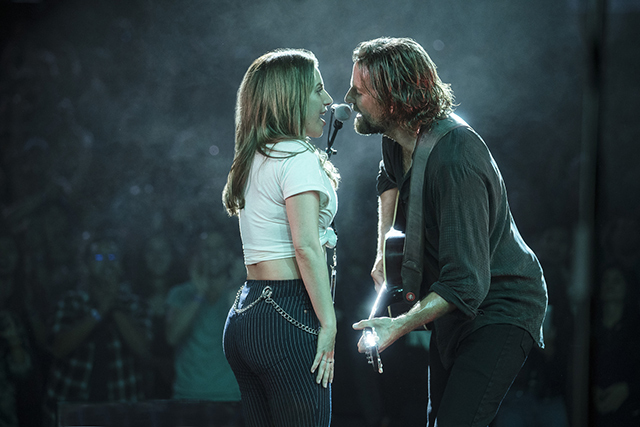 This is a story told over and over—the fourth time to be exact—and the likes of Judy Garland, Kris Kristofferson, and Barbra Streisand have done it before, but Bradley Cooper and Lady Gaga offer something new. They offer how they see this same story, and as the film also elegantly points out, it’s beautiful how they see this story and these "12 notes." True, this is an old Hollywood fairy tale, but it’s also undoubtedly a modern-day masterpiece. A Star Is Born is out in theaters October 10.